Quite a lot of you are at Gen Con this weekend. But I know that you still want those reviews you so desperately desire. So let's not waste any words. Today we have: MegaLand, Magic Maze, Vengeance, Mountains of Madness, Ghost Fightin' Treasure Hunters, Dark Souls, The Edge: Dawnfall, The Artemis Project, The Thing: Infection at Outpost 31, Neuroshima Hex, Senshi, Warhammer Champions, and Thunderstone Quest. We were beyond excited when we first learned that Red Raven Games had a video game inspired board game coming to Target stores nationwide. I’m a big fan of Ryan Laukat’s games and the worlds he creates are so much fun. So does this new world of MegaLand deserve a space on your game shelf? Let’s find out. MegaLand is a pretty generic video game world that’s beautifully illustrated in the same style as Laukat’s other games like Above and Below or Near and Far. The goal is to be the first to reach 20 coins over the course of the game. Players will press their luck as they adventure to find treasure in the world. This treasure can be traded for buildings or health upgrades for your character. In this video I will teach you how to play including: components,Setup, player actions, and playing the game. I will also give you my thoughts and opinions on the game, and would love to hear yours. In this video I will teach you how to play including: Components,setup, wronging phase, montage phase, combat phase, enemy activation, den clearing, and end game conditions. I will also give you my thoughts and opinions on the game, and would love to hear yours. In this video I will teach you how to play including: components,setup, player turn sequence, end game conditions. I will also give you my thoughts and opinions on the game, and would love to hear yours. In this video I will teach you how to play including: components,setup, player turns, end game conditions, and the rogue ghost expansion. I will also give you my thoughts and opinions on the game, and would love to hear yours. In this video I will teach you how to play including: components, setup, enemy activation, player turn, and boss battle. I will also give you my thoughts and opinions on the game, and would love to hear yours. theMCGuiRE review takes a look at the brand new The Edge: Dawnfall board game and this thing is MASSIVE! It offers 3 modes of play: a competitive miniatures game, a fully cooperative multi-player campaign game and a solo campaign experience. theMCGuiRE review takes a look at a preview of the brand new Grand Gamers Guild title: The Artemis Project. Here we are are colonizing one of Jupiter's moon's Europa. Love the theme on this one and the game play is smooth and strategic. You really get the feel of building out a colony on the planets moon and trying to survive its harsh conditions. The title offers dice, worker placement, and programming mechanics. Coming to kickstarter on Sept 12th 2018 - you don't want to miss out on this one! 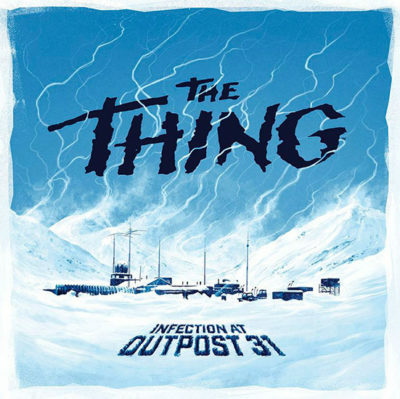 In The Thing, most players will play a human who want to clear all three sectors of the outpost and then get on the helicopter to escape. Some player(s) will play an Imitation who want to move the Contagion Level up, destroy the outpost before it’s cleared, or to stow away on the helicopter. All roles are kept hidden until the end of the game. Neuroshima Hex is one of my favorite 2 player games. 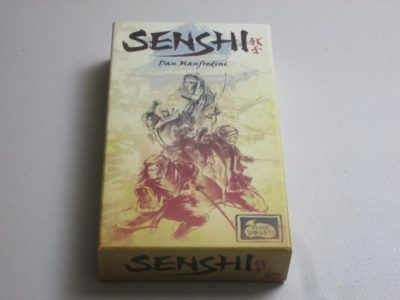 Although it has rules for 3 and 4 player battles, it really shines as a you-versus-me experience. 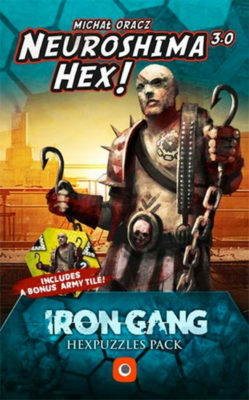 Today we are taking a look at the Neuroshima Hex Iron Gang Hexpuzzles. This expansion gives you solo puzzles to recreate the Neuroshima Hex magic even if there is no one else around to play with. Can you dominate one trait while not neglecting the others? Thunderstone returns with Thunderstone Quest. Recruit your heroes, arm your party, then visit the dungeon — and the dungeon has new perils not seen in prior Thunderstone releases. All-new dungeon tiles create new challenges and rewards as you explore deeper and deeper in the dungeon. Each quest brings new dungeons as well as new side adventures! Thunderstone is a fantasy deck-building game. Each player starts with a basic deck of cards that they can use to purchase, or upgrade to, other, more powerful cards. Thunderstone Quest brings new play modes to the table. The game will tell a specific story with a series of pre-set dungeon tiles, monsters, heroes and support cards. Each will come with a series of mini-adventures and a story booklet that tells players what happens as they progress through the scenarios.